The death of a parent or spouse can be overwhelming and it may feel as if your life has come to a standstill. If you have been a caregiver, it may be met with mixed emotions which are normal. 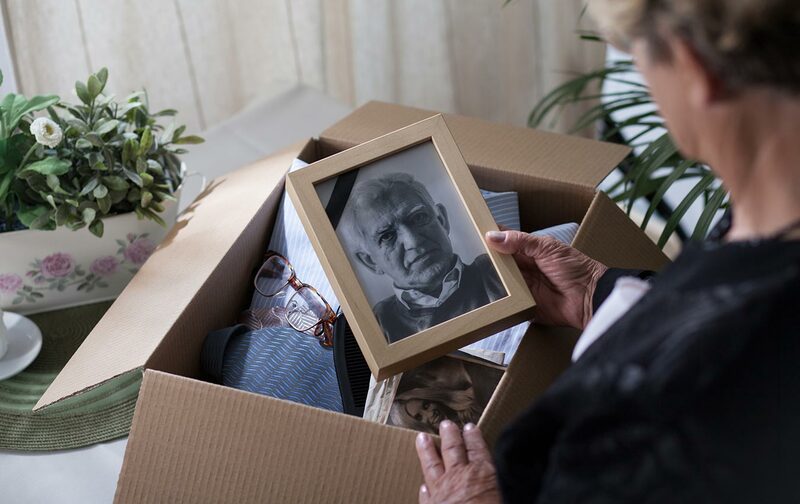 You may be relieved that your parent or partner is no longer suffering but equally overwhelmed with a sense of loss. You may also feel guilt over feeling released from your caregiver role. This major shift in lifestyle can make it easy for you to lose sight of your own health and wellness. As a caregiver, your days and nights may suddenly be quiet. Too quiet. It can be an adjustment that takes some time before you arrive at what will be your ‘new’ normal. Life will be different. Stay active, make plans with friends and family, be mindful of your own health maintenance and appointments, accept help from others, recognize your capabilities and set goals accordingly. How can I help a loved one through their grief? Perhaps your loved one is experiencing loss at the same time as you. Be supportive of them but also recognize your own stages of grief. It is important to recognize healthy coping mechanisms include a balanced diet, rest, exercise and socialization. You may also find comfort is joining a bereavement group to get support from other people who are at different stages of having experienced loss. Contact your local funeral home for referrals to bereavement groups in your area. Or call the local Canadian Mental Health Association office for additional referrals. Reach out to friends and family and, if necessary, ask your health care practitioner for a referral if you are feeling overwhelmed. You can also reach out for home health care providers. If you find that you could use additional support, even temporarily, you may want to explore home care options from trusted providers. Here are a list of questions to take into consideration when searching for a home care provider. And we can save you even further investigative effort by letting you know that Bayshore Home Health answers ‘yes’ to all of these questions! We offer a range of home care services that can assist you in getting through challenging times: personal care, companionship, meal preparation, medication reminder and housekeeping. Prior to booking service with Bayshore, you will receive a free in-home consultation to access immediate needs, gather an understanding of your current health situation, and assess any possible risks in the home to ensure our home care services can be conducted in a safe manner. Contact a Client Service Representative at 1-877-289-3997 or email clientservice@bayshore.ca to book your free consultation.